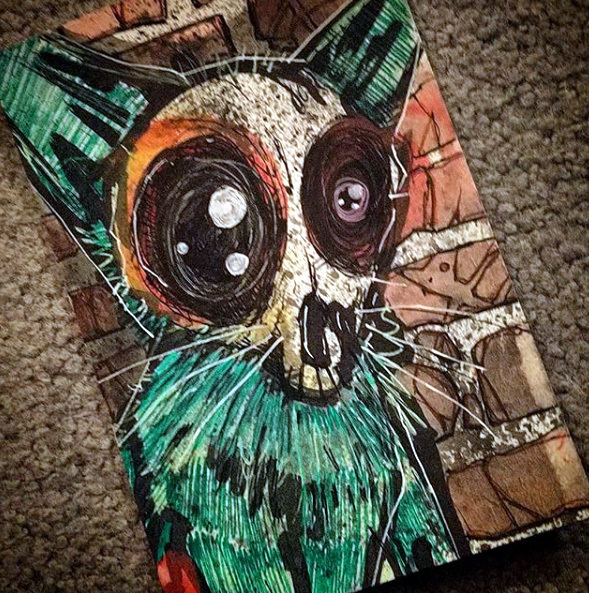 Do you know why this #zombie #cat has such big sad eyes? Is it because the only unlife it's ever known has been with me and now I'm sending it, and 49 others like it, off to 50 strangers. Haha ... no of course not. It's not sad, it just looks this way. 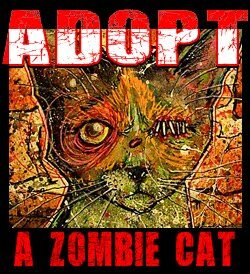 It's a strange feeling, willingly letting go of 50 of my little zombie cats ... but they are from a different period in my life and letting go of them enables me to focus on the future and new, bigger, better zombie cats. Only 3 days left and only 50 available ... and only $20 .. I want you to have it. I'll pay shipping.